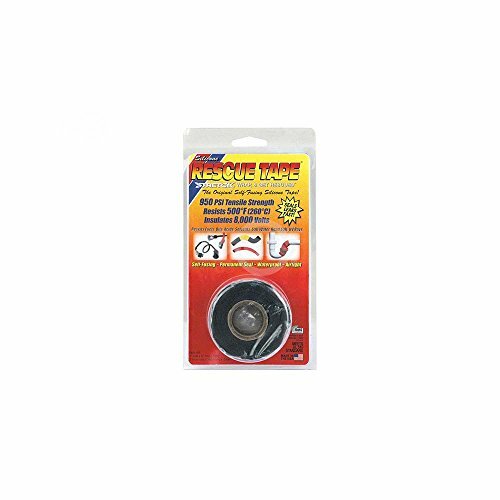 Silicone Rescue Tape is an award-winning silicone repair tape for emergencies and all-purpose repairs. fan belt, o-ring gasket and so much more! surface as long as you can wrap it around and overlap it. and people who love adventure. 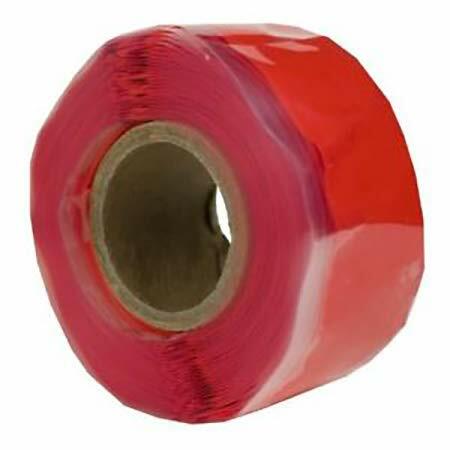 Rescue Tape is rated at 950PSI Tensile Strength. few minutes. Leaks under the kitchen sink, in the garden, or in the shower will be thing of a past. 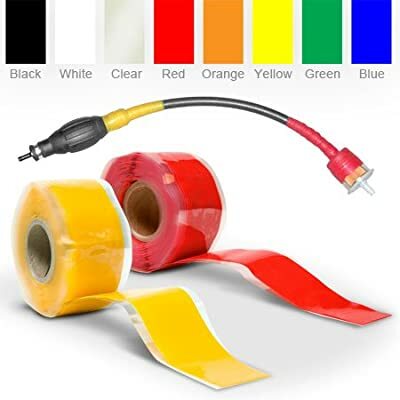 EMERGENCY REPAIR TAPE: Our self-fusing silicone tape is a must-have addition to any tool box, car or home emergency kit, repair shop, or pretty much anywhere! This tape won't stick to anything except itself, making it completely versatile. 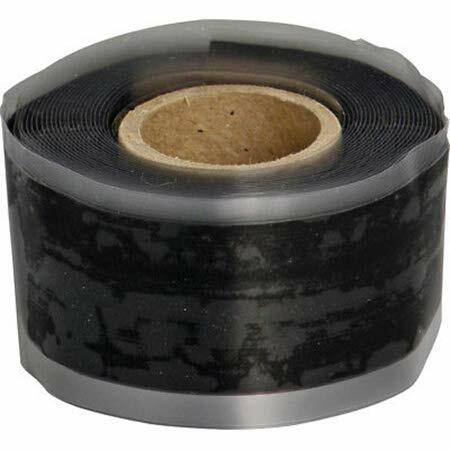 Whether repairing or maintaining plumbing, patching tubes or a radiator hose, sealing PVC pipe, or for one of its other practically unlimited uses, this tape creates the bond you need. It fuses in seconds and never dissolves, unravels, or becomes sticky! INDUSTRY LEADER & MILITARY APPROVED: Rescue Tape is the number one choice for any emergency or everyday repair scenario. Our award-winning Rescue Tape is used in the US Military Recovery and Battle Damage Assessment & Repair Kit (BDAR KIT) for its proven reliability on and off the battlefield. It is heat resistant, has a high tensile strength, is insulating, weatherproof, waterproof, and ideal for fast repairs in intense situations. Rescue Tape is proudly made in the USA. 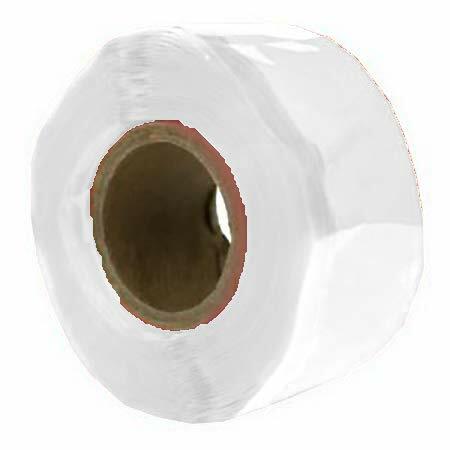 ALL-PURPOSE & NON-ADHESIVE: Not only is this tape self-bonding, but it is one of the strongest on the market. It works in just about any environment, for just about any use. Both heat-resistant and waterproof, it is perfect for indoor or outdoor applications. Whether for camping, fixing shower and faucet leaks, making handle grips, sealing and protecting metal connections, or even making underwater repairs, it can handle all your emergency and non-emergency DIY needs. MAXIMUM ENDURANCE: Made for use wherever permanently resilient, flexible, and lasting seals and insulation are required! 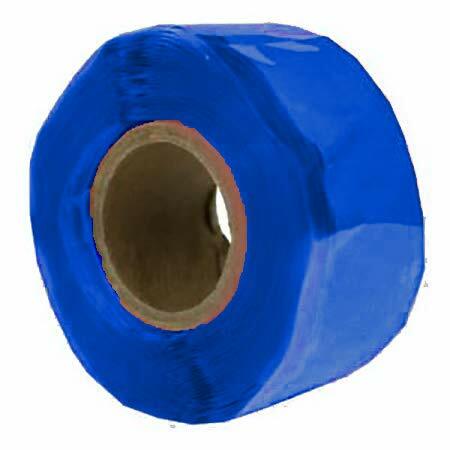 Repair Tape is the strongest and most versatile silicone repair tape on the market. It is able to insulate 8,000 volts per layer, has 950 PSI tensile strength to withstand extreme pressure, is heat-resistant up to 500F, can be used underwater, and meets UL Standard #510. You can wrap and fix any leak in a matter of minutes. This is quality you can trust! GUARANTEED SATISFACTION: We proudly stand by all of our products! Rescue Tape is guaranteed to meet and exceed your expectations. If you are not satisfied with your purchase for any reason we offer a full refund. Shop with confidence, knowing that we aim to provide the ultimate in quality service and products!